Editor’s note: I’ve edited this comment to remove some sensitive information that needs further investigation. This walking human-trashcan is responsible for so so much more than even you or I could suspect or imagine. 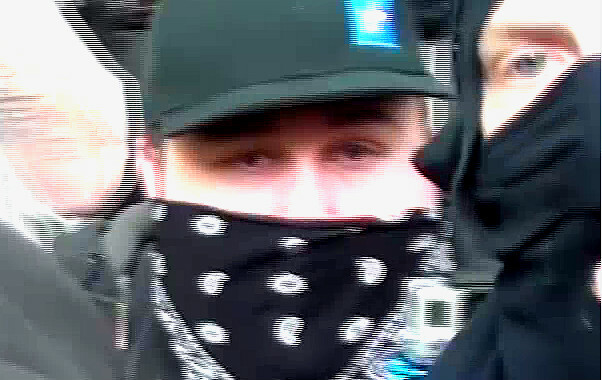 also in the course of my investigation(s) I found that him and one of his antifa buddies might be involved in bit coin [ … ]. 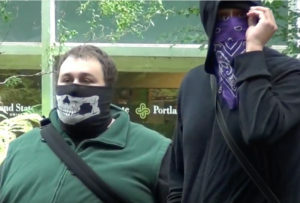 I also with a high degree of probability may have un-masked one of the antifa scums the image at http://www.victoriataft.com/wp-content/uploads/2017/03/Kerensa-%E2%80%98friend%E2%80%99-black-bloc-PSU-616-300×203.jpg may in fact be the same guy as https://www.youtube.com/watch?feature=player_detailpage&v=AcUBB6jHzmk#t=61 the eyes and visible facial features are in my opinion a damning match-up. I know that every waking second of this loser’s life is spent commiting or planning various criminal acts including assaulting people, framing people, theft, fraud and terrorism. Editor’s note: I’ve edited this comment to remove some sensitive and slanderous information and unattributed innuendo. “Toy,” who won’t give a proper return email because he’s hiding his identity for some reason (let’s guess), avers slanderous information and some factual information about the commenter. My question is: How does that change one thing he’s laid at your–Ben Kerensa’s–feet? None. He’s “right wing?” Is that what you have against him? Or is it that he keeps book on the factual rap sheet which sounds oddly similar yet much less serious than yours, Ben. Well, you would know I guess, Ben.